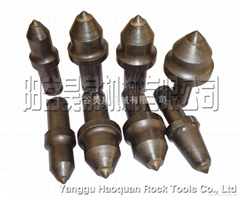 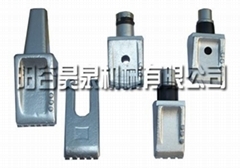 Yanggu Haoquan Rock Tools Co., Ltd is the professional manufacturer and exporter of road milling tools ,foundation drilling tools, coal miner tools, rotary cutter bits and other Tungsten carbide brazed products; the products mainly use for, Road milling, surface mining ,tunneling, trenching and rock drilling and Recycling etc,we also supply other matched Tungsten Carbides products. 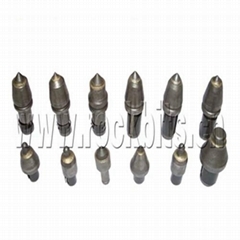 We have many years production and exporting experiences in these field .We have very good relationship and reputation among our customers. 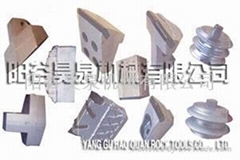 We have very strong technical and producing experiences to make best quality tools. 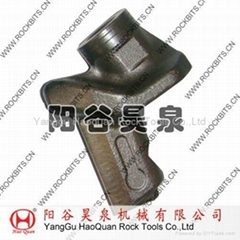 We are developing our business relationship with many Famous rock tools and Tungsten Carbide companies in world. 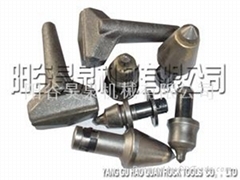 We have approval IQNET AND CQM ISO9001:2008 Quality System Certificate. 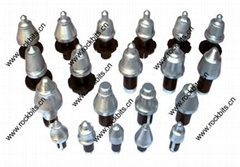 We assure that we will give you best quality products and service to meet your requests.